There are some things that I never want to forget when I’m traveling with kids. 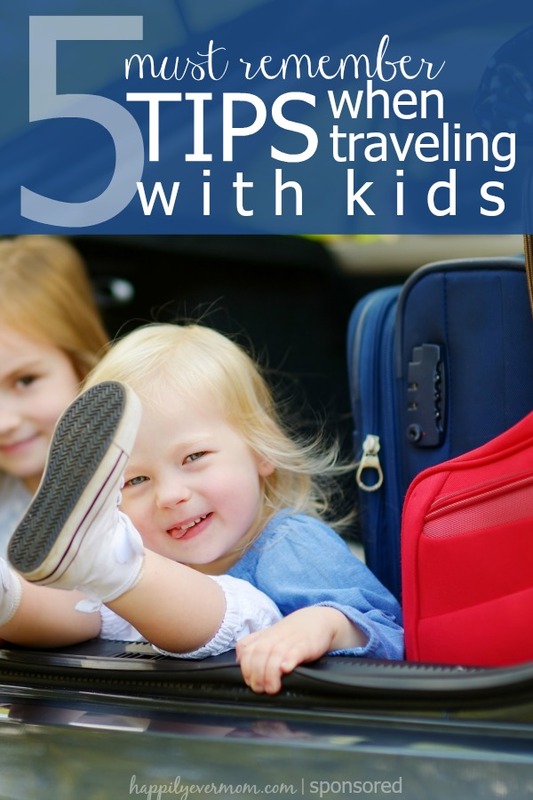 While I think activities for traveling with kids are great, there are other details that can seriously make or break your family vacation. 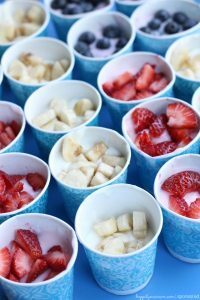 That’s why I’m thrilled to be partnering with Yoplait®, a Happily Ever Mom sponsor, because they know how important it is to enjoy your summer with the kids and still remember the details…you know, like feeding them (does it get any easier than yogurt?!)! 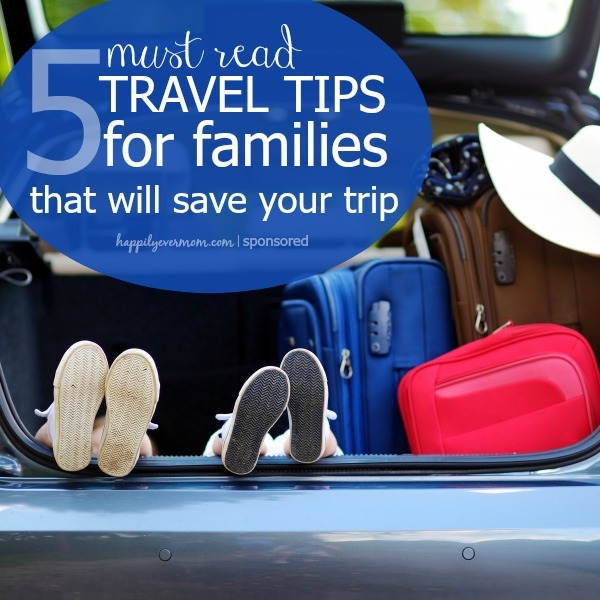 After countless airplane and road trips with my kids, here’s my top 5 must remember vacation tips. This idea comes from my Father-in-law. It’s true. The most important details are getting your family safely to and from your vacation destination, but most everything else that you can forget is something that you can buy when you get there. I once went to Mexico as a little girl without my suitcase (thanks, Mom…) and I lived in a bright yellow dress that we bought for the rest of the trip. While my Mom hates that memory because she forgot my suitcase, I just remember that I got to where my favorite dress over and over…isn’t that every kid’s dream?! The moral of the story is that most things you can buy and kids will still have fun (except for #4 ~ don’t forget that one!). 2.) Have Food Ready for When You Get Home. Let’s face it, so much goes into preparing for a trip with little ones that it’s easy to forget about being ready for when you get home. Remembering to have food that can keep while you are gone is essential. That way, whenever you get home, you’ll have something for the kids to eat. This saves you from rushing to the grocery store the second that you get home, too! 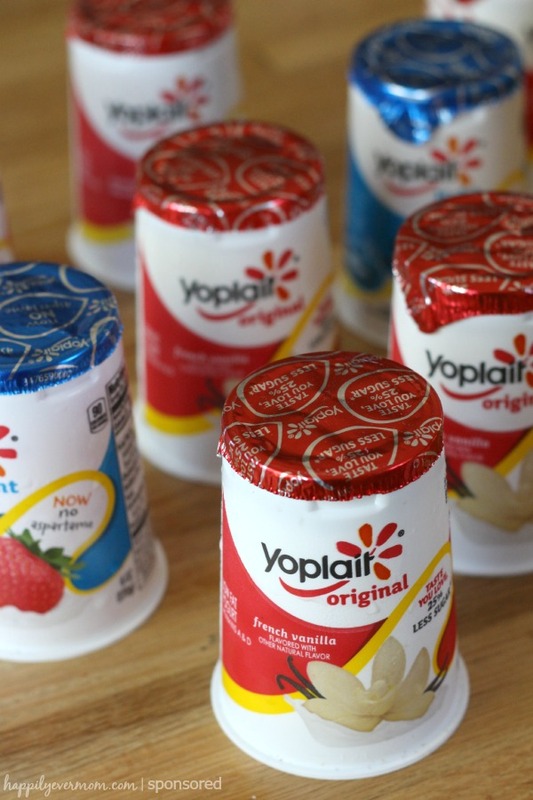 We always keep extra Yoplait in the fridge for that reason. 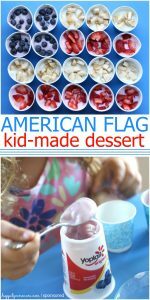 You can pick them up at Walmart and they make for a quick snack that kid’s (and parents) love! 3.) Your Kids are Gonna Freak Out…at First. While my older daughter loves to travel, my son has a much harder time with the change in routine. My husband and I have learned over the years that the first couple of days are going to be difficult. Instead of freaking out about how the kids are having trouble sleeping, crying, throwing unexpected tantrums, etc. my husband and I tell each other, “remember, they just need love.” Since we are usually the ones that plan vacations for our kids, its unrealistic for us to expect that kids are as invested or prepared as we are for the trip (in fact, their little brains can’t be as prepared as us). 4.) Remember the Diapers and extra baby food! I’m going to say this one again: remember the diapers!! Oh, and if you have older kids, the same goes for packing extra underwear! 5.) Vacationing with Kids is Exhausting (but worth it). There was a time when vacation meant reading books at your leisure, sitting with your feet up, and feeling relaxed. But, vacationing with kids takes a great deal of effort. From packing suitcases, to loading the car, to coming up with entertainment while you travel, and to preparing for the unexpected, etc. vacationing with kids can be exhausting. As soon as you can accept that vacationing with kids is different than before you had kids, you’ll be ahead of the game. Half of the frustration is thinking things like, “remember when I didn’t have to lug two huge carseats through the airport and we just had one carry on each? !” or “remember when we didn’t have to pay for this extra seat for our two year old? !” Let go of what used to be and remind yourself that traveling with kids will get easier and easier as they grow!